We bring forth for our clients a wide collection of Biomass Vibrating Screen. Designed at par with international quality standards, all our products are manufactured using high-grade material that is sourced from the trusted vendors of the market. Also, these products are checked by expert quality controllers on various parameters to ensure flawlessness. 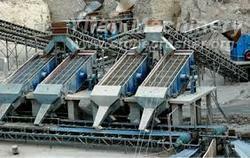 We have emerged in offering our valuable customers a wide array of Coal Vibrating Screen. All our products are designed and manufactured using quality components that are sourced from the authorized vendors of the market. Furthermore, we provide timely delivery of these screens at clients’ end within the committed time frame. Looking for Vibrating Screens ?